My favourite kind of party starts off with cocktails and canapes. I thoroughly enjoy it….the drinks, the small bites, catching up with friends. So when I’m hosting at home, it’s important to find recipes I can make ahead, with minimum cooking or just simple assembly work when my guests arrive. This is how we roll!! 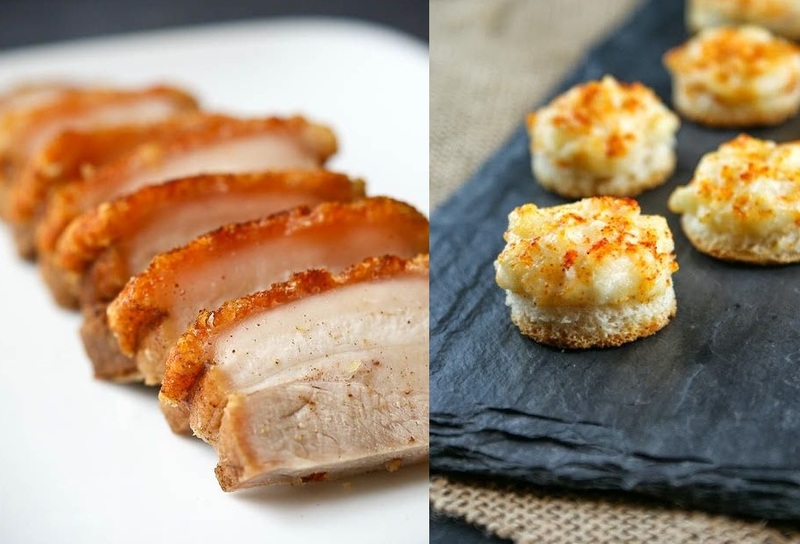 2 different meat canapes: Beef meatballs can be braised ahead of time and easily warmed up; Crispy pork belly can be made a couple of hours ahead, eaten at room temperature and served with a garlic chilli vinegar sauce; If one is short on time, buy the Shio Bak (crispy pork belly) from your favourite roast meat stall. Artful plating with the right sauce and condiments, and you will look like a star! 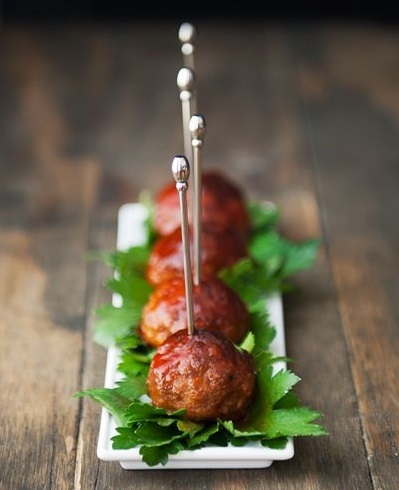 Other canapes can have their components parts pre-made and assembled when the guests arrive. Use a variety of ingredients to achieve contrasting taste profiles and textures for an interesting menu! I usually plan 5 or 6 types of canapes with 2-3 pieces each canape per head. Check out the Pin on simple cocktails….my favourites are Martinis and The Greyhound. Easy to make, not too many ingredients, leaving me time to enjoy myself!